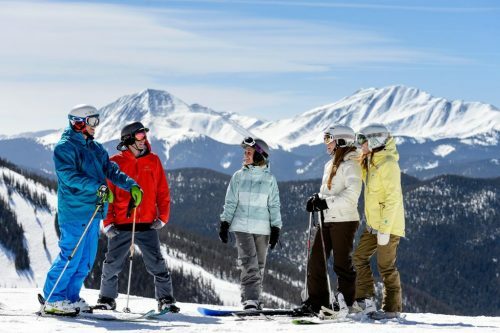 With world-class dining, a wide range of lodging and every kind of activity possible, Colorado’s Keystone Resort will be ideal for every individual in your group. A group ski trip is not just a ski trip. It’s an opportunity to gather together, to share experiences, break bread, and make new memories to talk about for years to come. When planning a group trip you often have to deal with the different priorities of different individuals: Some folks are totally focused on the skiing, some are already planning their meals, and others are looking for something unusual and unexpected. 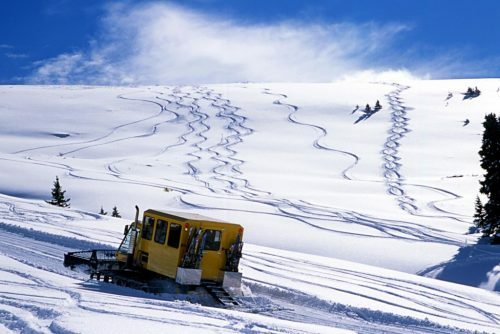 For the put-upon trip planner with a raucous group of contrasting desires, the solution is, thankfully, easy: Plan a ski trip to Colorado’s Keystone Resort. 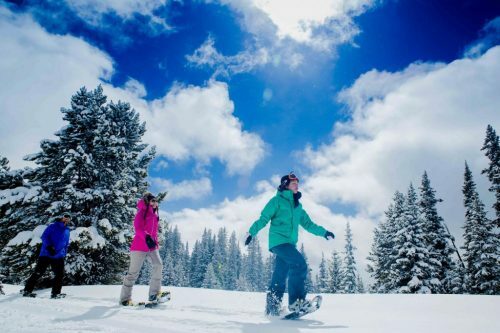 Combining legendary skiing (including challenging, expert-only trails and tree skiing) with plenty of lodging and fine dining options and other activities, Keystone Resort is one of the most popular and celebrated ski trip destinations for a very good reason. 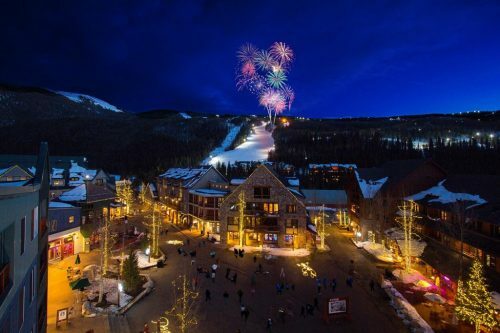 What are some accommodations options in Keystone? Moderate properties are comfortable and provide all of the basics, ideal for the budget-conscious. Deluxe properties include a full kitchen and offer larger spaces, ideal for budget-conscious families. Premium properties are closer to high-end hotel accommodations, with newer rooms, pools and fitness areas. Premium Plus properties are townhomes with private entrances and all the conveniences. Platinum properties are brand new townhomes with private entrances and every possible convenience. How do I get to Keystone? Keystone Resort is about 90 miles west of Denver via I-70. From Denver International Airport or Eagle Airport, the resort offers both ride-share shuttle buses and private car services, and there are car rentals available at both airports. Once at the resort, bus transportation runs continuously throughout the resort. What are some off the slopes activities? Where can my group grab some grub? Signature Dining: These dinner opportunities include wine and cheese overlooking the scenery, a gondola ride to a moonlight dinner and other once-in-a-lifetime experiences. Group Dining: When you plan a ski trip to Keystone Resort you can let them know you’d like to discuss group dining options, and they will be happy to help set up as many dinners as needed based on their fully customizable banquet menus. The resort has a wide range of 4- and 5-star restaurant options, including the AAA Four Diamond-rated Alpenglow Stube, the family-friendly Luigi’s Pasta House, and the uber-casual Bighorn Bistro and Bar, plus dozens of other options. What does Keystone offer groups? The resort has specified a list of Value Dates, and offer upgrades and premiums for any group that schedules their visit during these times. Check the website for specifics. Now you have everything you need to satisfy every member of your picky group for the big ski trip – Keystone Resort literally has it all in one beautiful spot. All that’s left is to book the trip and the impossible task of choosing your activities and restaurants! Have you been to Keystone? Then leave a comment and share your experience!